Something happened to William Gibson on his way back from the future. After two decades and six novels depicting paradigmatic shifts in human consciousness, the man who invented cyberspace seemed to take a decision to deliberately narrow his horizons. Gone were the emergent intelligences moving through the global network of Count Zero and the virtual popstars assuming material form of All Tomorrow’s Parties, replaced with a fascination with the psychic landscape of brands and marketing that so defines early 21st century capitalism. Not, of course, that Gibson was ever very interested in the crass business of plot. Despite an enviable capacity to construct complex, multi-stranded narratives possessed of considerable momentum, his real interest was always in the incidental business, not just the military and consumer technology that so obviously delights him, but the psychological textures of futurity, of a world where the real and the virtual have become so intertwined as to be indistinguishable. But while in novels such as Virtual Light and Idoru there was always some life and death or reality-altering secret driving the proceedings, once Gibson’s fiction re-entered the contemporary world (or perhaps, more accurately, the contemporary world caught up with the world of Gibson’s fiction) the stakes dropped considerably. In Pattern Recognition, the first of Gibson’s non-SF novels, it was at least a question of missing intelligence, but in the second instalment, Spook Country, the off-the-grid packing container around which the novel’s intersecting threads are woven is really little more than a MacGuffin, an almost irrelevant pretext for the act of politically-driven, high-stakes performance art that forms the novel’s climax. Zero History, the third and presumably final instalment in the trilogy that began in Pattern Recognition, continues this process. Set, like that first book, in London, it explores the same shadowy world as Spook Country, that “lucrative sector” between industry and government “that might be either, or both”. And, as in both Pattern Recognition and Spook Country, the prime mover is the improbably named, more than slightly sinister Belgian marketing guru Hubertus Bigend. This time Bigend has his eye on contracts to supply the US military with uniforms, but as usual, his strategy is a roundabout one, involving the co-option of the anonymous designer of a secret denim label, the Gabriel Hounds. Hoping she will be able to locate the designer, Bigend convinces former rock singer and star of Spook Country, Hollis Henry to take on the assignment, teaming her with linguist and fellow Spook Country alumni, Milgrim. But meanwhile another, related scheme to acquire the designs of a rival firm has brought Milgrim, and by extension Bigend, to the attention of another, more overtly criminal organization with designs on the same contracts. Like Spook Country, Zero History is essentially a caper novel, the literary equivalent of Ocean’s Eleven, complete with iPhone-controlled Penguin balloons and elaborate con tricks. Yet just as it would be a mistake to confuse Spook Country’s playfulness with a lack of seriousness (indeed in a very real sense Spook Country is the literary equivalent of the performance piece at its centre, the embodiment of the “seething Swiftian rage” that can only be expressed “through perverse, fiendishly complex exploits, resembling Surrealist gestes,” Hollis’ lover and the lead actor in the piece, Garreth, attributes to his employer) it is important not to mistake the carefully orchestrated shenanigans of Zero History’s dénouement for the novel’s real point. For like both its predecessors, Zero History is, in one sense, a deeply serious novel, deeply and fascinatingly concerned by the manner in which reality is manipulated, and by the codes and systems with which we create and subvert identity. Certainly its juxtaposition of fashion and military intelligence is entirely deliberate, a chilling reminder of the manner in which marketing and branding owe more than a bit to Cold War research into psychological warfare, and of the increasing and increasingly pernicious intrusion of surveillance technology into our everyday lives. Yet it is also – and fascinatingly – important not to overstate the significance of this seriousness. For like its predecessor, Zero History’s playfulness is also part of the point. 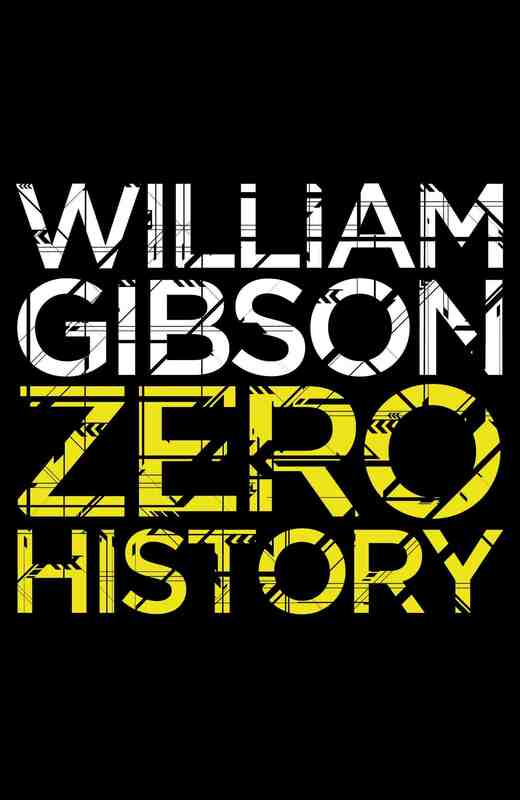 For just as Gibson’s early fiction, and in particular his first, and still most famous novel, Neuromancer, had its roots in the nascent hacker culture of the 1980s, Pattern Recognition, Spook Country and Zero History all owe not a little to the anti-corporate and anti-branding movements of the 1990s and 2000s, from Naomi Klein’s No Logo to the now institutionalised theatre of the annual G20 protests. Like the architects of those movements, Gibson recognises the darkness at the heart of branding, the insidious manner in which it rewires our reality. Yet simultaneously he also recognises the fact that the most effective resistance often comes not through anger but through parody. And like the cleverly repainted Nike billboards or elaborate, viral hoaxes to which it tips its hat, Zero History embodies this awareness, its playfulness, as surely as the serious critique that underpins it. Originally published in The Weekend Australian, 18 September 2010.